Byker Hall Residential Care Home in Newcastle is a unique and inspiring place to stay. 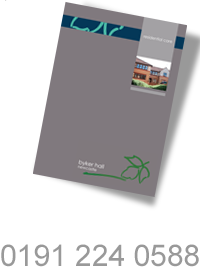 Byker Hall is an established residential care home in Newcastle, which provides the highest standards of comfort and quality of life. It is sited on the main bus route on Allendale Road in Byker just 300m from the Byker Metro Station and the main Shields Rd Shopping Centre. 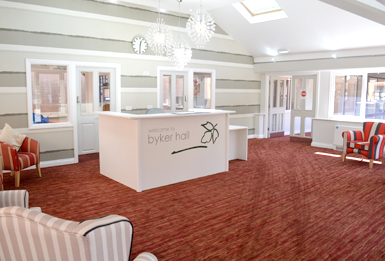 Byker Hall is purpose-built and so offers exceptional levels of person-centered care and support in luxurious accommodation. The home has highly trained, dedicated and professional staff who are passionate about providing the best care, through bespoke care plans that are as unique as our residents are. 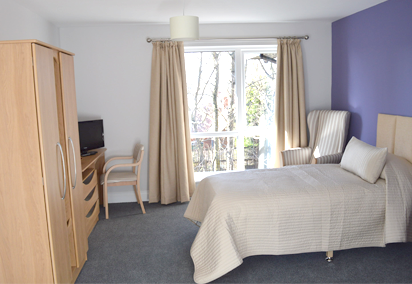 Byker Hall Care Home is very proud of the high standard of accommodation we offer to our residents here in Newcastle and every attempt has been made to create a home from home atmosphere providing the best possible care that we can. As well as the larger lounges and dining areas we have been careful to provide a number of smaller areas so that our residents can spend their time where they feel most comfortable. Some areas are equipped with TV and games while other areas are more quiet and peaceful. A resident’s bedroom is respected as ‘their own front door’. The comfortable single rooms provide en-suite facilities and we can also cater for couples or anyone who prefers to share a room with a companion. All rooms are pleasantly light and airy and are comfortably furnished with facilities of a very high standard. We have coffee and tea-making facilities for residents and their families.